Malene Bjelke is educated from the School of design in Denmark and has through the last 20 years besides her work with sculptures been working with scenography and costumes within theater. Malene founded and worked as artistic head of the theatre “Our Theater” from 2003 to 2008 with the aim to create performances based on the room. Since 2008 Malene Bjelke has had her workshop at Kronborg in one of the old barrack buildings. 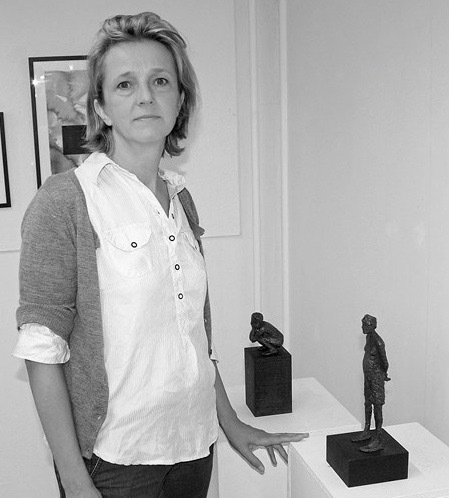 Malene works with the human’s life and state of mind expressed through the body. She seeks in the interaction between the figure and the surroundings to cover the human’s inner landscape where we recognizes ourselves.